It is no secret that Nike currently has a bit of a stranglehold on the performance-engineered basketball market, with its signature lines from Kyrie Irving, LeBron James, and more. That being said, adidas has spent the last few years creating intriguing product the likes of the N3XT L3V3L silhouette as well as the Crazy BYW series. 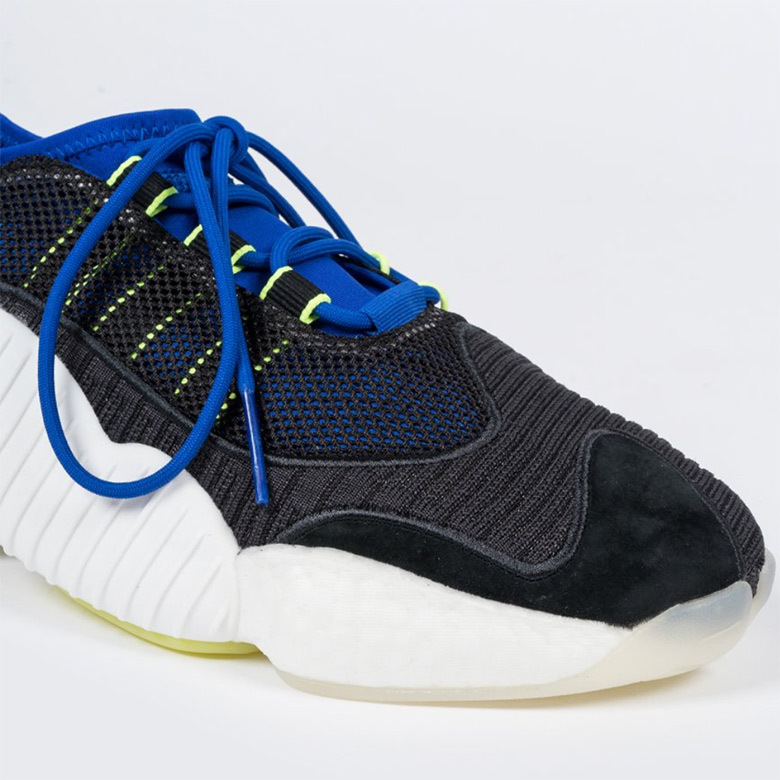 While designed first and foremost for the court, the BYW series has made the transition to the lifestyle circuit with models like the Crazy BYW LVL 2 you see here. Serving as the lower cut version of the burgeoning family, the LVL 2 has just welcomed another streets-ready model that mixes black and royal blue together with hits of volt green and white for contrast as well as notes of suede for a slight premium touch. Clearly, this model’s midsole acts as its focal point, but its attractive arrangement of colors make the BYW LVL 2 a viable piece of everyday footwear. With pairs currently available at select retailers, you can expect an adidas.com and global drop very soon. 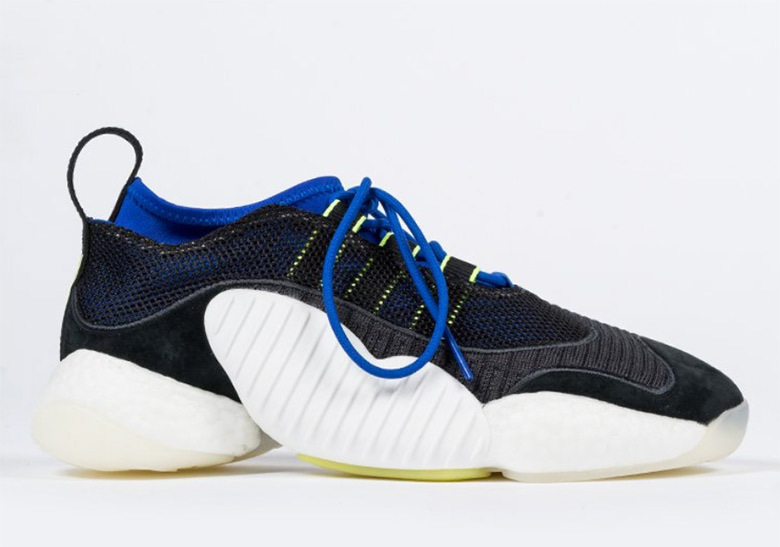 The post adidas Crazy BYW LVL 2 Arrives In Black And Royal appeared first on Sneaker News.